The MIZ-200 eddy current instrument can handle the most demanding environments with ease. Offered in both tubing and surface array configurations, MIZ-200 is ideal for applications within Balance-of-Plant/Power Generation, Transportation and Oil and Gasmarkets. Features include a rugged cast aluminum case designed to withstand the bumps and drops that inevitably happen in inspection environments. The sealed and fanless unit will withstand dust and water resulting in improved reliability and reduced replacement costs. 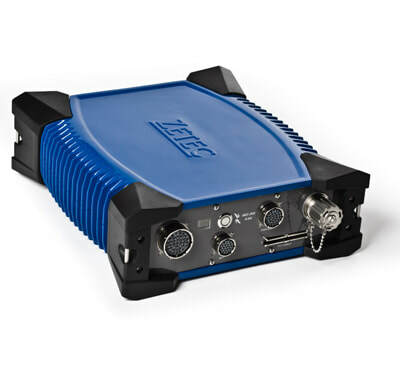 MIZ-200 is a fully portable, battery operated, remote data acquisition unit delivering significant benefits including an industry leading signal to noise ratio to improve probability of detection in industrial environments. Designed with operator ease of use in mind, the MIZ-200 automatically recognizes the probe type connected to it and configures its internal multiplexor accordingly. MIZ-200 works in conjunction with Zetec’s Velocity software providing a powerful, integrated solution customized for the specific needs of the Balance of Plant Power Generation market. With software modules covering acquisition, analysis and data management, Velocity delivers the advanced analysis and reporting the market demands. ​When the MIZ-200 is used along with the Zetec Surface Array Flex Probe plus Velocity Acquisition and Analysis Software, it’s a complete solution engineered to work better together. Zetec delivers the highest performance, most dependable and fastest surface inspection solution in the market.